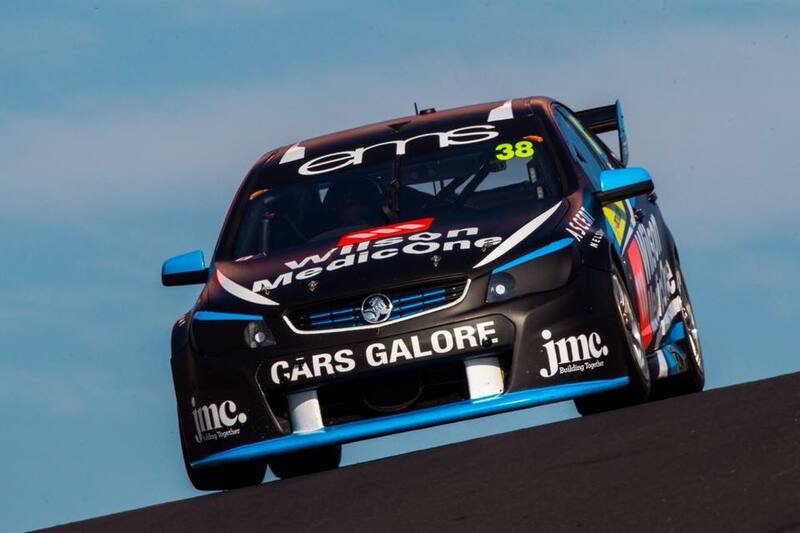 Eggelston Motorsport driver Will Brown has taken out fifth place in the 250km Dunlop Super2 race at the Supercheap Auto Bathurst 1000 today. Starting 7th, Brown remained calm amid the chaos whilst competing at Australia's toughest and most imposing race track to come home ahead of far more experienced rivals. Brad Jones Racing young gun Macauley Jones secured his first Dunlop Super2 win. Jones crossed the line with a 3.9449-second margin over Jack Le Brocq in the non-points race, and was joined on the podium by BJR team-mate Andrew Jones. The 22-year-old started fourth, as Paul Dumbrell snuck up the inside of polesitter Le Brocq at Turn 1 to lead, a Todd Hazelwood slotted into second. Dumbrell led until lap four, when he ran wide at Hell Corner and dropped back to eighth. As Dumbrell looked to move back through the field, he went off again at the same corner five laps later. Hazelwood was nearly three seconds clear when the safety car was called on lap 13, to retrive Matt Chahda’s Commodore from Murray’s Corner. The bulk of the frontrunners elected to pit, with BJR getting Jones back out ahead of Le Brocq and Hazelwood. Dumbrell stayed out, but pitted on lap 22 of the 41, one before the safety car was called for Chahda stopping on track again. That handed Jones a lead he never relinquished, staying ahead through the subsequent pitstops and easing his way to a comfortable margin over MW Nissan driver Le Brocq. Andrew Jones withstood a late challenge from Hazelwood to finish third, the BJR endurance driver going off at The Chase on the final lap. Brown took fifth, ahead of Kurt and Jake Kostecki, Dumbrell and Nathan Morcom. Dumbrell was in the thick of the action again in the final stint while recovering from 10th place. While fighting for fifth place, Dumbrell was tagged by Bryce Fullwood at Hell Corner, Fullwood having locked the rear brakes on his Nissan as the pair fought for fifth. Fullwood was handed a 15-second penalty and was classified in 13th place.